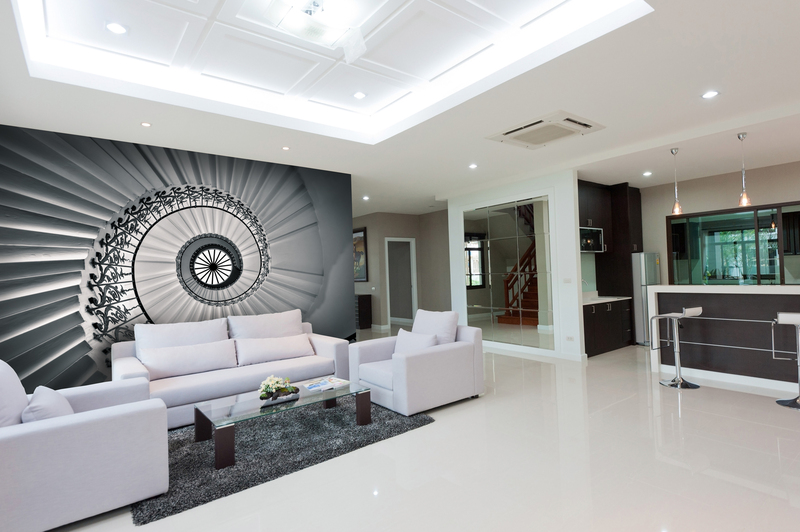 Below, we have picked our favourite wall murals that create the illusion of more space. 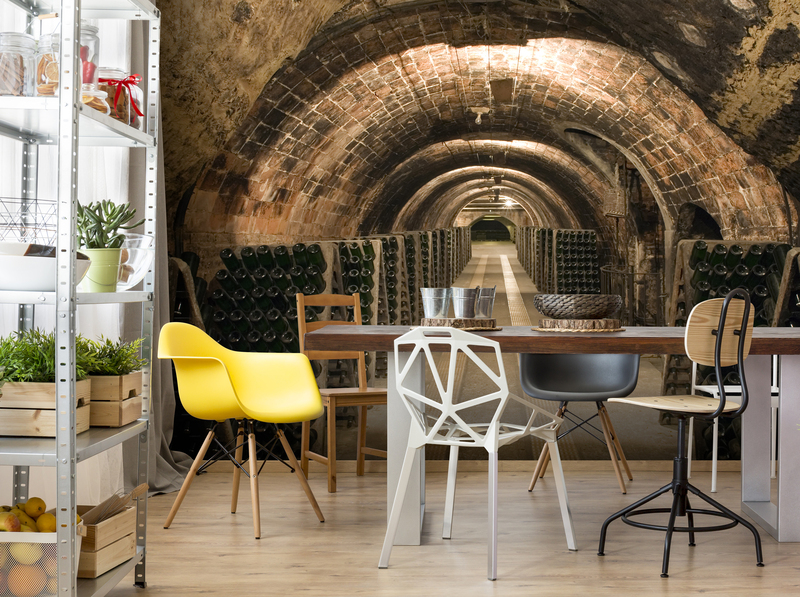 For something that will fit in with your decor, this wine cellar wall mural uses beautiful hallways filled with vintage and luxury bottles to create the appearance of a wall that reaches beyond its limits. It would make a great feature wall in a kitchen, dining room or cherished communal area in the home. The mural would be at home with almost any style of decor including modern and rustic, and will work well contrasted with plain walls. Use the calming visuals of water and create a relaxing environment with this river and walkway mural. This mural featuring a long pathway that runs alongside the River Cam will help to create the illusion that the room appears endless and will also create an attractive focal piece for your room. The staircase featured in this image takes the eye in without obviously doing so. It can be difficult to add a feminine touch to your home without using flora and fauna, this breathtaking black and white image is a great alternative to overtly feminine prints. It’s perfect for any room in the house including the bedroom, and will add the depth that you’re looking for. Pro tip: Use to help create a Parisian look. 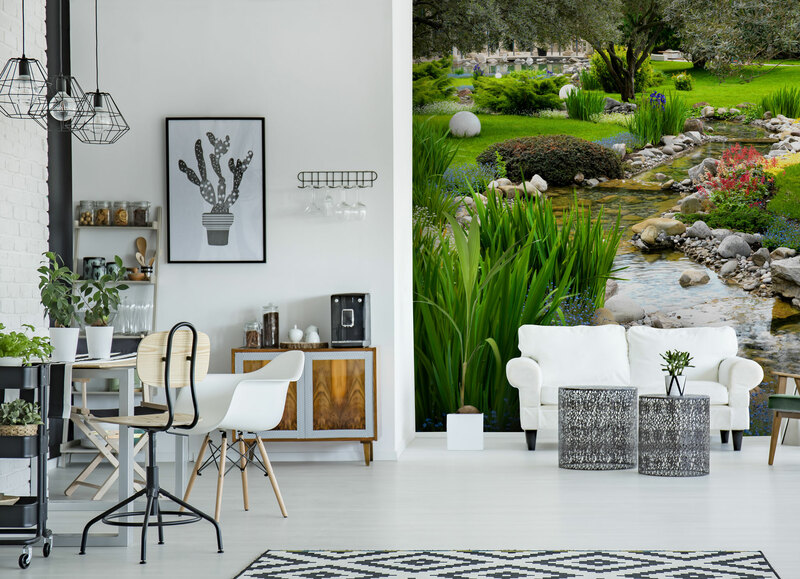 This uplifting garden mural will create a positive and beautiful space in your home, whilst also using the depth of the image to make the room appear more spacious. The use of greenery in the home, alongside the calming effects of the water in the pond can create a peaceful environment in any room. Read this interesting article about the benefits of using green in the home. 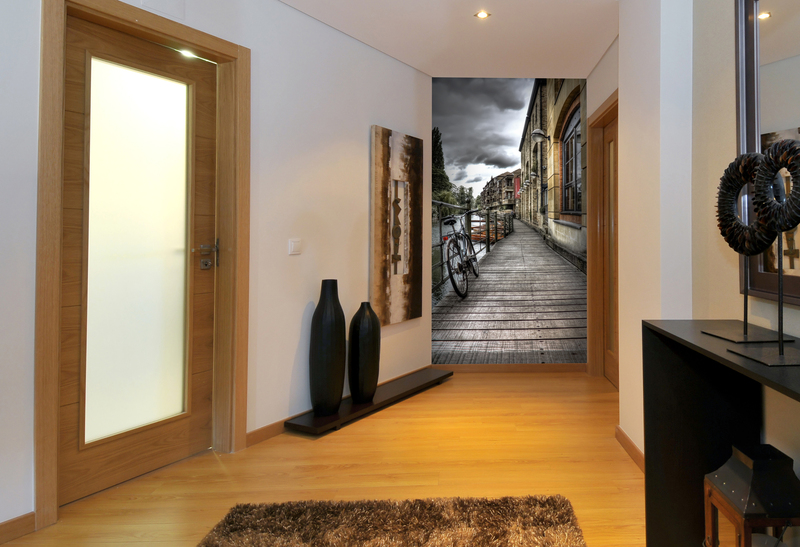 Using tunnel style imagery is one of the easiest and most sure fire ways to elongate the appearance of a room. You have more options that you might at first think with this style of imagery, and it’s certainly far from boring! There is lots of choice and freedom in style, for example you can choose anything from futuristic styles like the one below, or stunning photography of tunnelled walkways and caves. Your additional ‘space’ will give you a new lease of life! It can make you feel more uplifted, relaxed and positive about your home. Make sure you let in plenty of light (or if this isn’t possible, add artificial light) and minimise any clutter. If you have any suggestions, please add them to the comments section below! I am on board with having a mural with perspective to make my room apear larger. But, none of the picutres match my decor. I have Queen Anne style -real old leather- furniture that I am trying to incorpoate into an Industiral design. Any idea?